An update on our home-made meals. I decided to actually help out in this month’s commitment to home-cooked meals – it seemed just a little unfair for me to not even help. Some have been healthier then others, but they’ve all been pretty good so far. 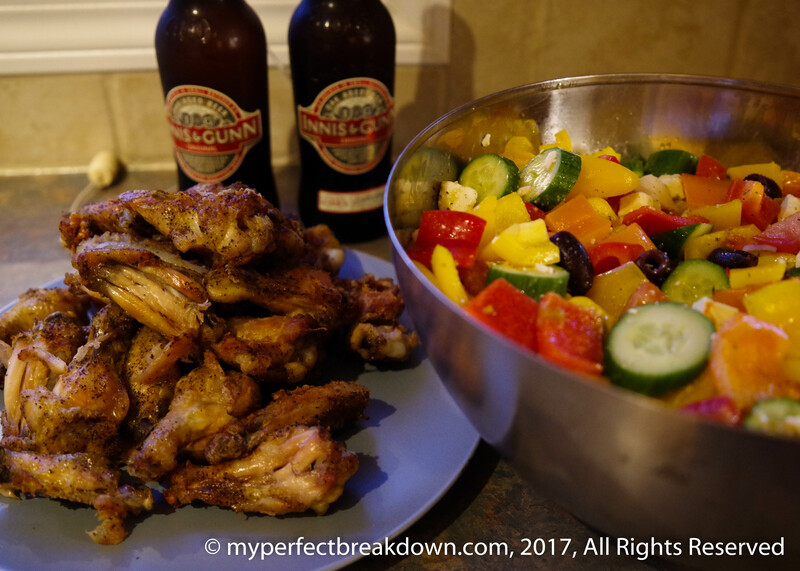 Day 1: September 1, 2017: Salt and pepper baked wings and Greek salad. The Greek salad became lunch for a few more days. Day 2: September 2, 2017: This was our unhealthy, but delicious meal for the week. 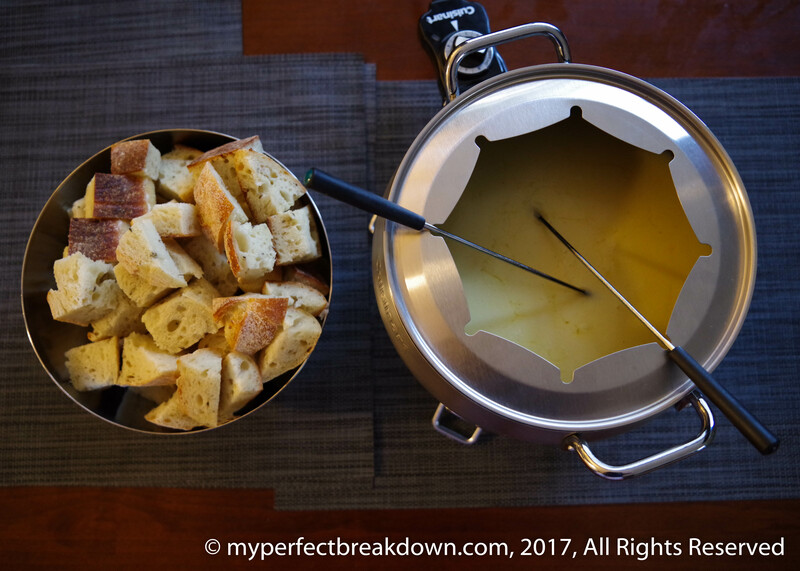 Cheese fondue with rosemary garlic bread for dipping. We have this about once a year, and it’s always fantastic. Little MPB had left overs from the night before (the chicken was removed from the bones for him). 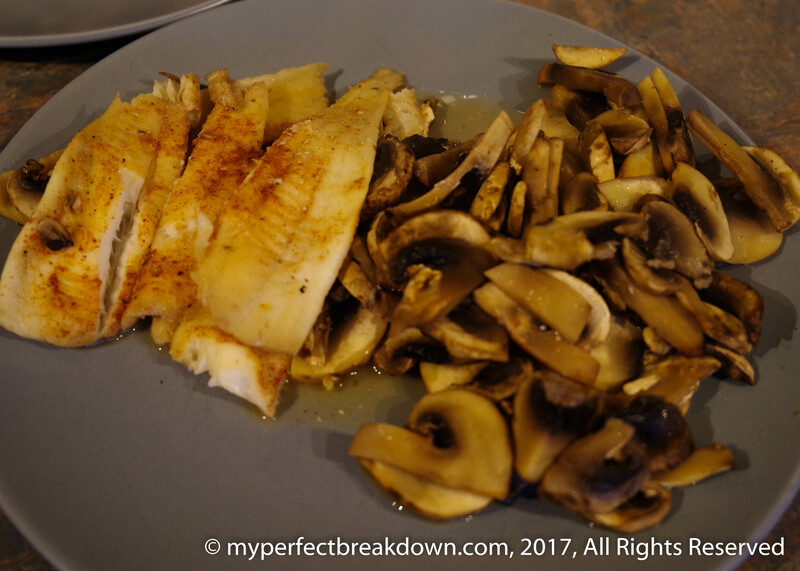 Day 3: September 3, 2017: Cajun spiced baked cod with sautéed mushrooms. Little MPB doesn’t normally love fish, but he loved the Cajun spiced cod! 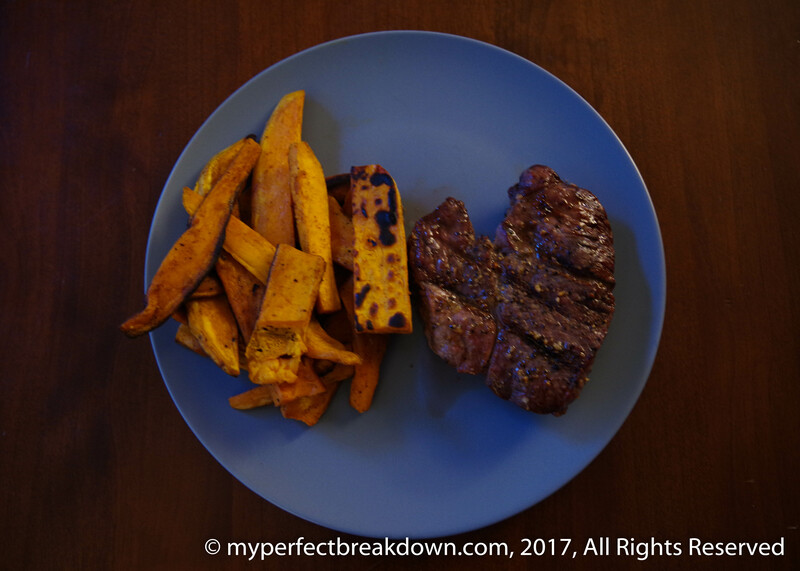 Day 4: September 4, 2017: We planned a simple but delicious meal with ingredients we had at home – we pulled some frozen lamb steaks out of the freezer to go with some sweet potato sticks dressed with coconut oil, paprika, cinnamon, cayenne, salt and pepper (inspired by Sarah Fragoso’s recipe – this has become one of our favourite side dishes). Everything was cooked on the barbeque, and thankfully nothing was ruined this time. Day 5: September 5. 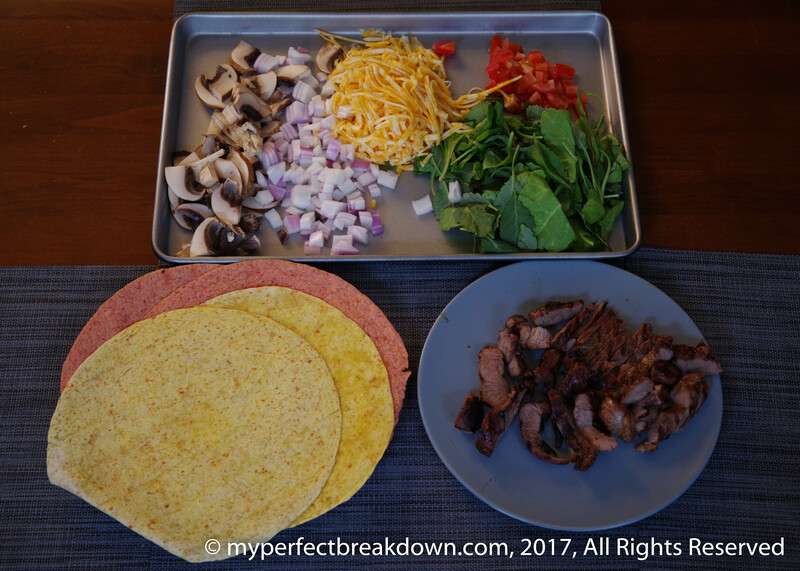 2017: Lamb and fresh veggie wraps. Day 6: September 6, 2017: Shepherds pie with potato/sweet potato topping. Mr. MPB actually prepped this the night before and we froze 3 of them for future meals. Little MPB absolutely loves shepherds pie, so the frozen ones will definitely come in handy. We also made banana bread (not pictured) to have on hand for the next few days. 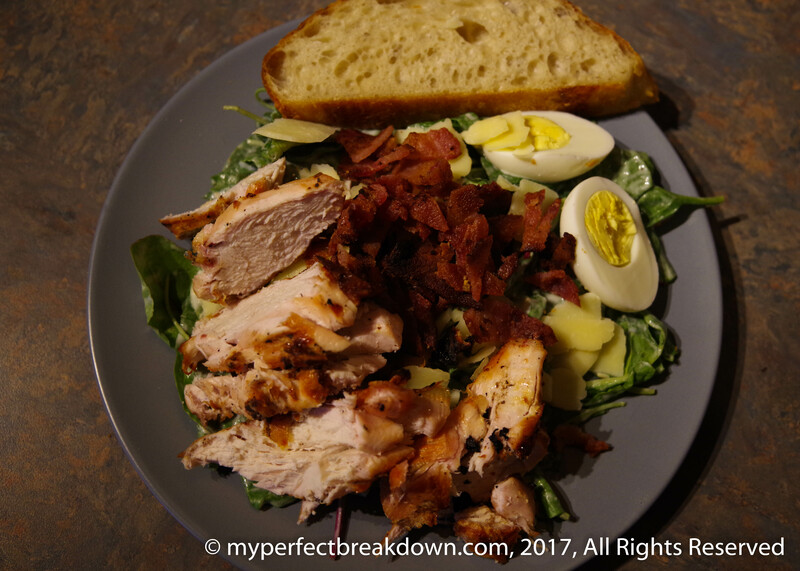 Day 7: September 7, 2017: Caesar salad with grilled chicken and bacon for Mr. MPB and Little MPB. I was away with work so I grabbed some carrot sticks and banana bread when I left in the morning so that I wouldn’t end up relying on fast-food. I also had venti chai tea latte from Starbucks (because driving home late at night requires caffeine). Day 8: September 8, 2017: Left-over chicken enchiladas. We’ve never made left-over chicken in enchiladas before, so this was a first for us. Here’s the link to the recipe we used for inspiration – they were pretty good, but next time we’ll add some rice. Little MPB loved these so much he had left overs the next day for lunch. Day 9: September 9, 2017: No picture. We were staying with family for the night and they made us grilled porkloin, caprese salad and potatoes with almost all the veggies directly from their garden. It reminded me that I absolutely love caprese salads. 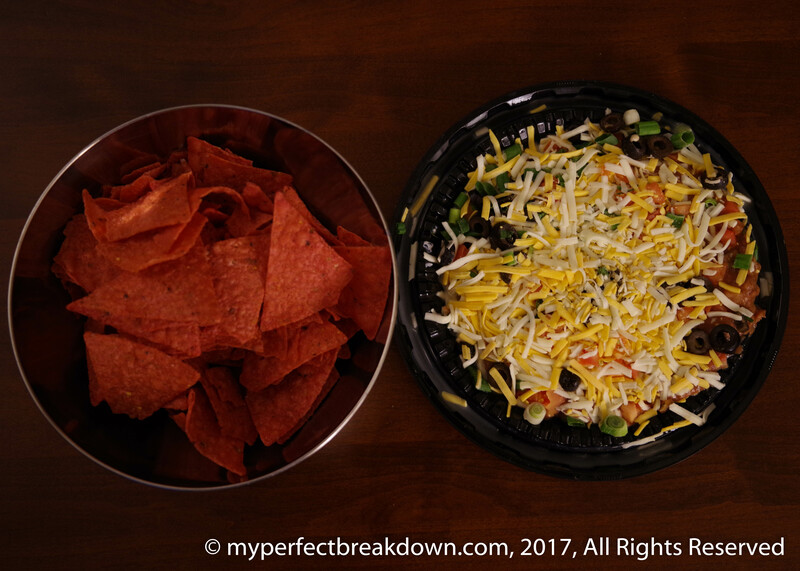 Day 10: September 10, 2017: Nacho chips and 7-layer dip. Not exactly home-made, but we were so thankful we had it in the fridge since we didn’t get home until 10:00pm. Not pictured and also not home-made, the Adult MPB’s had ice cream sandwiches for dessert. (Little MPB ate earlier at our families house before we left – he had leftover pasta, veggies, fruit and yogurt). Omg, all of these look AMAZING!!!!!!!!!!! Wow it all looks amazing and you are certainly giving me inspiration! Yummy!!! We absolutely LOVE homemade sweet potato fries, I don’t know why we don’t make them more often. Especially now, since C loves sweet potatoes! I also need to learn to make enchiladas, because we love Mexican food!! Keep up the good work with the food!! We just bought a butternut squash to roast for her and B!! (I don’t like it.) I hope she enjoys it, because she loved the squash baby food! I literally am salivating looking at the pictures. You’ve inspired me to try and create several of those meals!!!! Thank you! This is fantastic!! Well done Mr MPB!! Can you send him my way to cook for me too?! Lol!